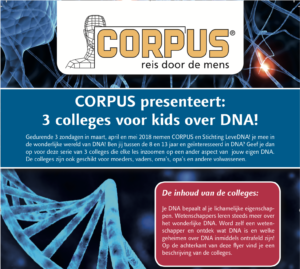 Janine and I gave a presentation on DNA for the Utrecht local naturalist’s group. 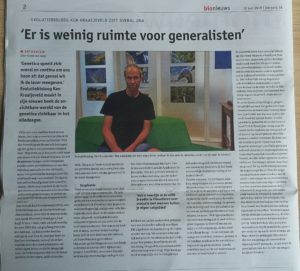 Interview about DNA and my new book here (in Dutch, scroll to dinsdag 19 juni, 13:00-14:00 and fast forward to 8:00). Like last year, I held a public lecture at Corpus. 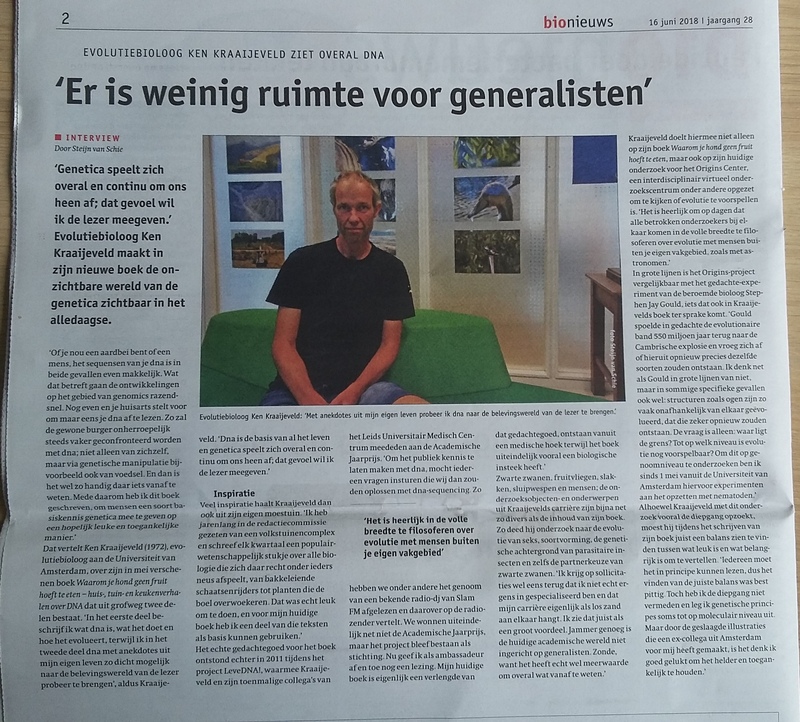 This time on DNA and evolution. 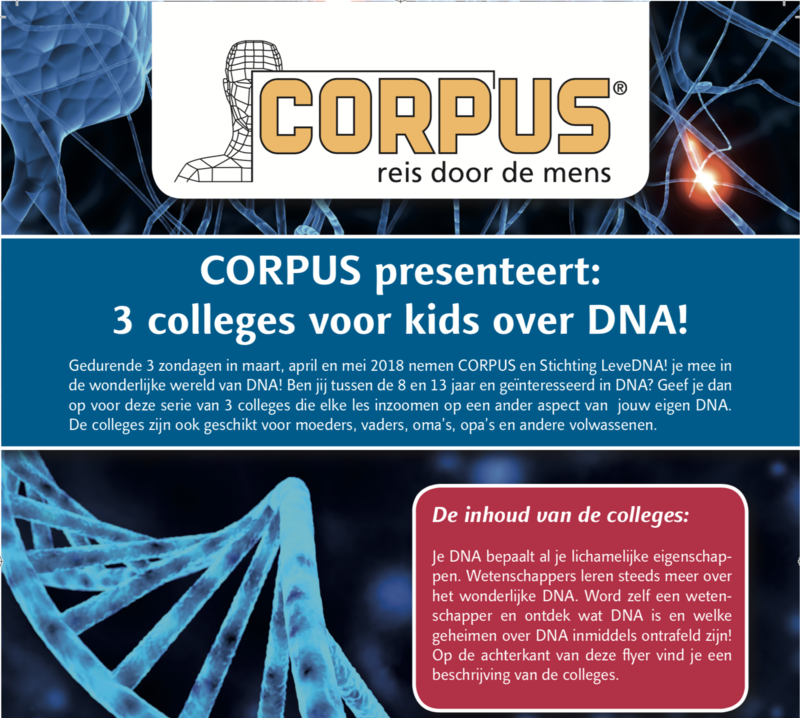 Presenting the second of three lectures on DNA for kids at the Corpus museum in Leiden.